Want to leverage Facebook to promote your dental practice? Or you’ve been on Facebook for a while now but don’t have ideas to engage your audience? 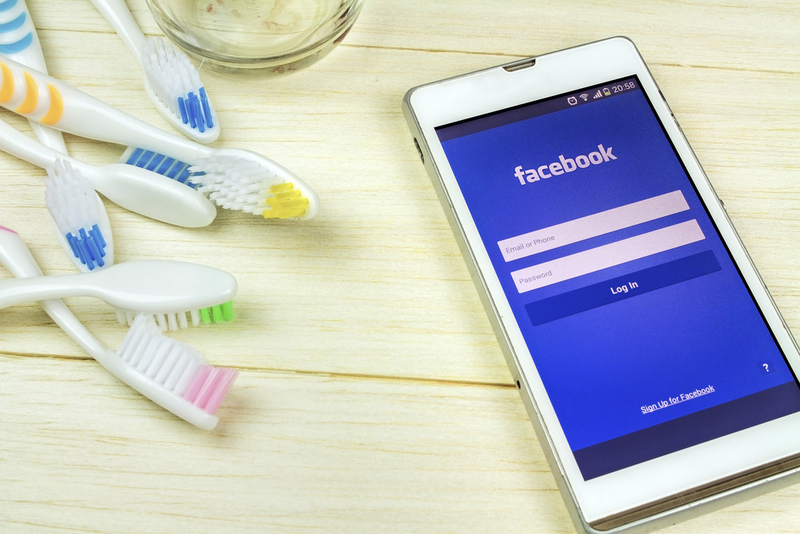 In either case, you can use these 8 Facebook for dentists themed post ideas to attract new followers, engage the existing ones and to enhance your brand’s identity and online visibility. Share your positive patient reviews and thank your happy patients publicly on Facebook. Not only does this make an excellent marketing strategy but also works to convey that you provide quality dental services and are committed to ensuring a comfortable and positive patient outcome. Whether you specialize in teeth straightening braces or Invisalign treatment, the best way to promote your dental treatments on Facebook is to show real-life transformations. If you have recently completed a teeth straightening treatment using affordable braces for a teen’s first prom, share the pictures! This will show the quality and value of your dental treatments and make you more relatable for your followers. The best way to engage your target audience and convey your care is through informative and interesting content on everyday oral care. You can give practical tips to maintain healthy teeth and gums, come up with a comprehensive oral care guide, give out information about the latest dental treatments and cosmetic dental procedures or draft oral FAQs – content offers ample opportunity to show your expertise, engage your audience and promote your services without making it evident! Your Facebook followers would love to know more about the dental team that runs your practice. So put up warm, friendly, and smiling pictures of your well-trained team members to help ease the anxiety of your existing and potential patients. You can also post office celebrations like staff birthdays and work anniversaries to highlight the fun side of your dental practice. This will reflect the authenticity of your dental practice and enhance your credibility. You can also use your posts to convey your care and capability to ensure a positive dental experience for every patient. An excellent way to enhance your brand visibility and awareness on Facebook is using fun dental facts, celebrity dental news, uncover oral myths and post humorous content that can make people smile. So, take the time to find interesting information about everyday oral care and encourage your followers to share their comments. You can wish your followers well on their birthdays or on special events of their life like graduation. Apart from joining in their celebrations, you can posts on festivals and holidays. This gesture will surely resonate with your followers. You can also post about the new gadgets or tools you add to your dental office, announce about the conferences that you are going to be a part of, show off the award you recently received, share your experiences from the events you attend, introduce your new staff, swank if your practice is in the news and you can also give your followers updates regarding holiday hours. The most effective way to showcase your high success ratio on Facebook without making it obvious is to do it through the before-and-after pictures of your patients. Highlight these smile transformations with your patient’s consent and promote the power of a flawless smile. Whether the result is from teeth straightening braces, veneers, teeth whitening or Invisalign, use the outcome to show how your treatment increased the confidence level of your clients and improved their quality of life. Running a special seasonal offer? Share it with your target audience on Facebook and also encourage them to bring along their friends and family. This will help you generate more referrals. You can also celebrate days, like Dentist’s Day or Oral Health Day, and offer discounts that drive more patients through your door. Be strategic with your promotional offers and do it only a few times every year, or else they will not be as effective. Sharon William’s day job is to handle digital marketing for Koch Orthodontics in Lawrencenville, GA. With a flair for creating compelling content that clears the clutter and connects with the audience in an instant, she writes about dental topics to educate and help her readers. She truly believes that a genuine smile can win a million hearts and talks to her readers about improving their smiles and overall dental health, as well as enhancing their overall lifestyle. In her free time, she likes to organize small meets in her neighborhood where she brings people together to discuss various topics that she writes about.